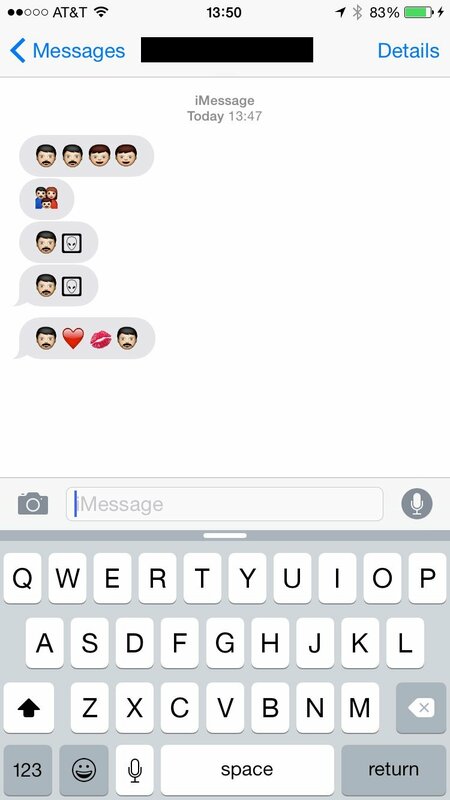 New emoji are here for iPhones, but don't get too excited yet. Just because you have the new emoji doesn't mean the person you're texting does, and that can cause some confusion. 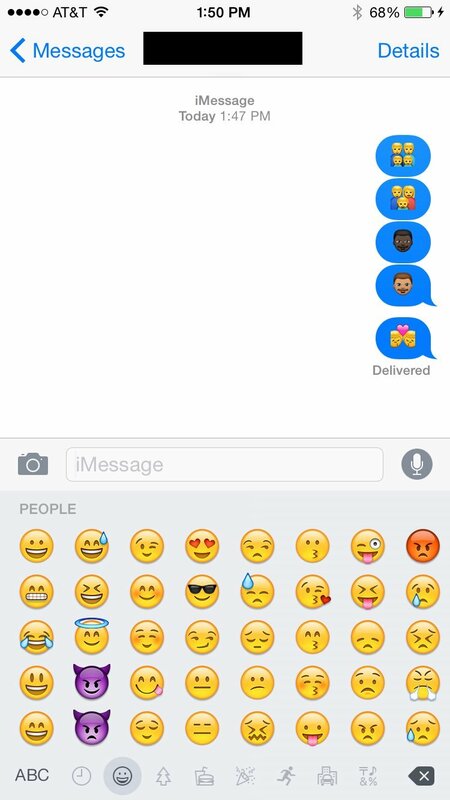 I wanted to see what would happen if I sent some newly diverse emoji to my coworker who hadn't updated his iOS yet. Rather than showing up as a black box, the way emoji often do when sent between iPhones and Androids, my coworker's iPhone tried to translate the new emoji using the old ones. It worked in a few instances and was problematic in others. When I sent him a family of four male emoji, he received two male emoji with mustaches and two boy emoji. That's not too dissimilar from a family with two male adults and two male children. When I sent him two different races of male face emoji, he received a white male emoji face and an alien face both times. That doesn't seem okay at all. It's not clear how Apple decided to translate the emoji between operating systems, but using an alien face to signify people of different races was not a good idea. Others aren't so bad, though. When I sent my coworker two male emoji kissing he got a male emoji, a heart emoji, a kiss emoji and another male emoji. That works. The key might be to wait a few days before sending any of these new emoji to your friends, in order to avoid any confusion or offense.